Author visit for 5th & 6th graders at Oak Ridge Friday was Fun for ALL! 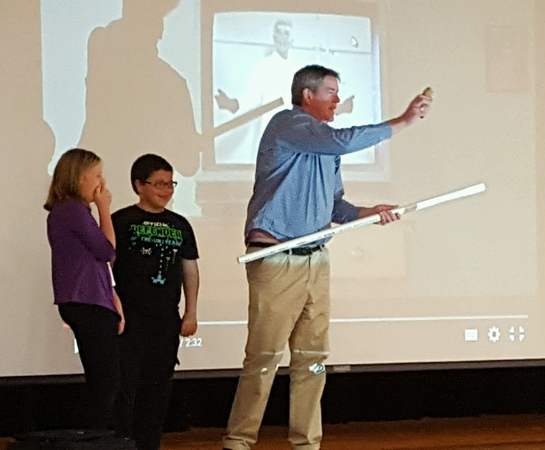 On Friday, October 30th, Author Sean Connolly visited with the 5th & 6th grade students and delighted them with fun and easy science experiments. How to grow a Frankenstein Hand! The book is available at Titcomb’s Bookshop, who arranged the visit for our students. 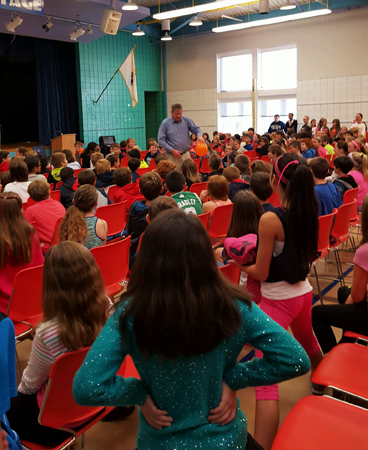 Students were on their feet as Mr. Connolly worked the crowd!